Ann Dvorak Sells A “3-Way Medicinal Treatment” For Hair! One aspect of Ann Dvorak that has not been discussed on this site is advertisements with Ann endorsing products. I am not sure how this worked back in the day, but I am guessing these types of ads were worked into studio contracts as opposed to the multi-million dollar deals that modern day celebs make independently. Please correct me if I am wrong. I don’t have too many Ann Dvorak ads, and this is definitely the most colorful one. I love how “Mange Medicine” is so elegantly listed. Was that a major problem in humans in the 1940s? I also like that Glover’s 3-Way Medicinal Treatment could cure one of “annoying scalp” and “excessive falling hair.” But hey, if Ann Dvorak says it’s good stuff then it must be, right? Reviews, Reviews, Reviews (And Good Ones at That)! I have been frantically trying to get my act together for my big “Finding Ann Dvorak” presentation this coming Sunday, which is one reason why the daily posts have been abbreviated as of late. Plus, my day job at the library has been in overload as well. Hoping to get back to some truly Ann-centric posts next week. In the meantime, here is a recently acquired photo of Miss D around the time of G Men. Ann frequently posed for these fashion-type images where the snipes on the back would spend just as much time describing her outfit as her latest film. 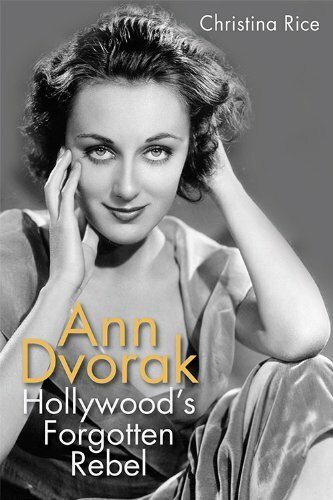 I am also happy to share that in the past two days, three more reviews of Ann Dvorak: Hollywood’s Forgotten Rebel have been posted at Journeys in Classic Film, A Person in the Dark, and The Hollywood Review. All three reviews are very positive and with the good vibes that have been coming my way the last two weeks, I am finally sleeping well again. I have talked about Ann Dvorak A LOT over the years. 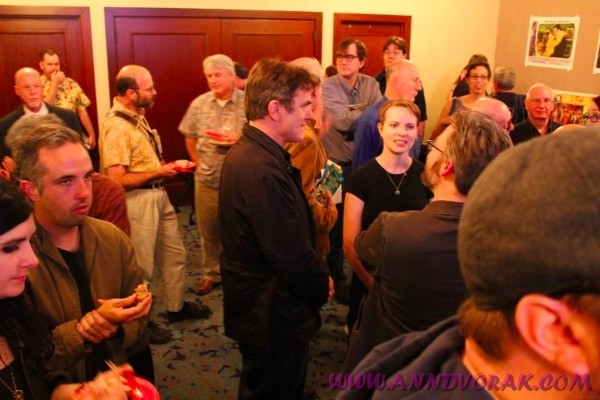 There have even been times when I have held court at social gatherings, relaying tales of the Divine Miz D. However, I have never presented a formal talk about her with an audience. That is going to change this Sunday. On November 24th at 12pm, I will be one of two presenters at the Los Angeles Visionaries Association (LAVA) Sunday Salon at Les Noces du Figaro in downtown Los Angeles. I am focusing the talk around my experiences researching and writing a book on Ann while weaving in her story. Am I nervous? Hell yes, mainly because I am going on after a woman who will be talking about being raised in burlesque. How am I supposed to follow something as awesome as that? I will do my best. I will also be doing a book signing sponsored by the good folks over at Larry Edmunds Bookshop. Don’t forget that for the remainder of the day I am taking questions over at the Silver Screen Oasis. Today and tomorrow, I am participating in an online discussion over at the Silver Screen Oasis. 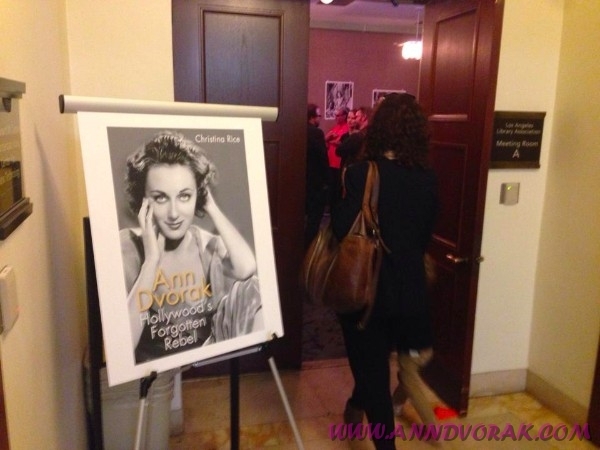 Got a question about Ann Dvorak, research, writing, Los Angeles? Go ahead and post away and I will do my best to give an acceptable answer. 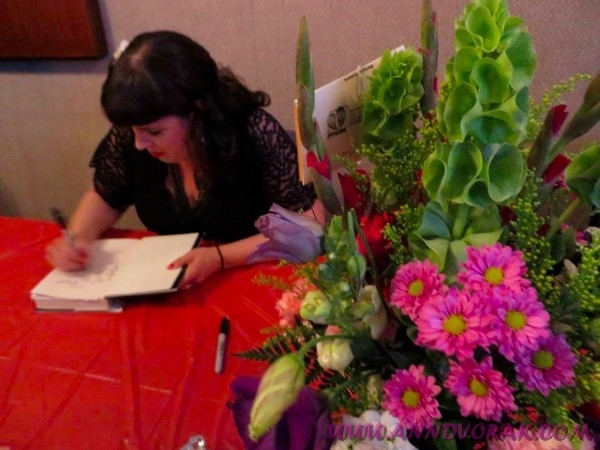 Special thanks to Moira Finnie for inviting me to talk all things Ann and making this happen! One of the fringe benefits of publishing a book relating to Golden Age Hollywood is that there is a very active and passionate community of classic film bloggers who are more than happy to devote some space to reviews. 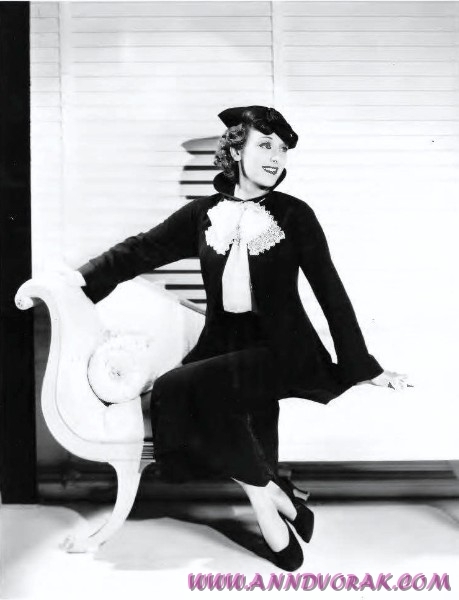 Ann Dvorak: Hollywood’s Forgotten Rebel has been out for less than two weeks and there are already two blogs that have posted thoughtful and in-depth reviews. First up is our pal Vienna who has been a frequent commenter here and was kind enough to devote some space to Ann and me recently. I am especially amazed because she had to wait for the book to arrive overseas, but had it read and reviewed in a matter of days! 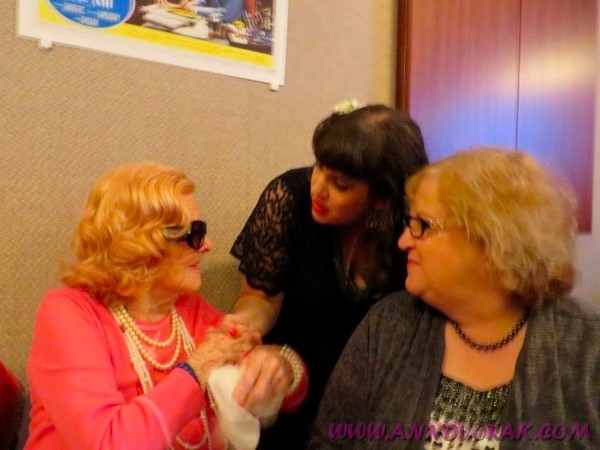 Much to my relief, her assessment was positive and you can take a look over at Vienna’s Classic Hollywood blog. Next up is KC’s review at Classic Movies. I hope I don’t sound like I’m bragging when I share that it’s another thumbs up from this blogger who has been around for quite a few years now. I was especially pleased to see that University Press of Kentucky provided a review copy which means the book is officially making rounds. Over the years I often wondered if I were writing a story that no one would be interested in reading. So, thanks again to these two bloggers for moving Ann to the top of the pile, easing my extreme anxiety, and soothing my fragile ego. I really appreciate it. Here’s to hoping these are two of many reviews coming down the pipeline! 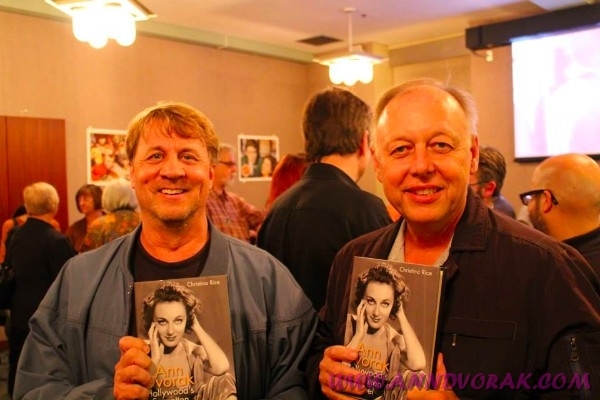 I have finally recovered from the Ann Dvorak: Hollywood’s Forgotten Rebel Official Book Launch Party on Tuesday. I think it’s safe to say that it was more than successful and is probably one of the few Los Angeles parties where people actually showed up early. Guests were filtering in while I was sitting there getting my hair done! 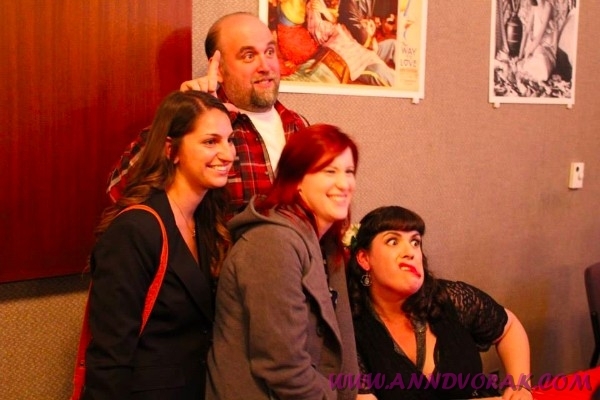 There has probably never been so much Ann Dvorak piled into one room, and the response was overwhelming. The Library Store ordered 40 copies, and at the end of the evening, there were only two left. The Ann Dvorak recipes seemed to have gone over well and the food table was empty by the end, other than some of the fudge which was admittedly too sweet with a weird molasses aftertaste. 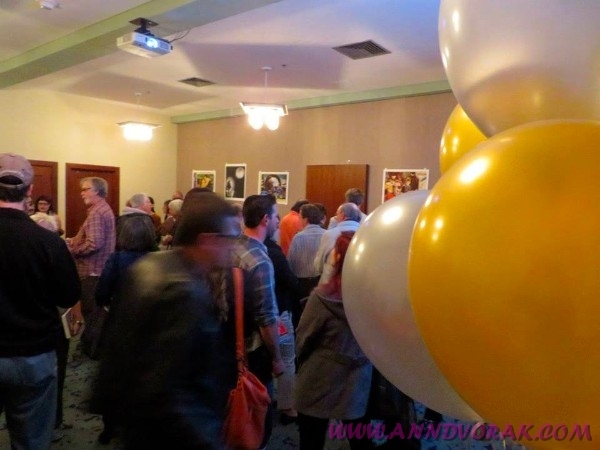 The turnout was way better than I expected and it felt like my own episode of “This is Your Life,” with some people showing up who I hadn’t seen over 25 years. 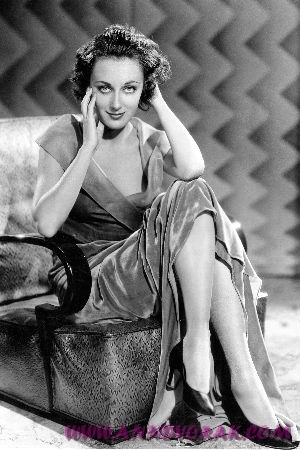 There was also a good amount of people who I did not know or am related to, which reinforces that Ann Dvorak is someone others give a damn about. Being able to have the party at Central Library, which is my home away from home, made it even more special. Thanks to everyone who came out or sent well wishes. After 15 years, it’s still bizarre to have the book out in the world but now feels much more real. Much to my relief, there was a line for books practically the whole time. Some of the people in line I didn't even know! A lot of people in the room I did know, like Paul. Our kids go to school together and are friends, but he also happens to be a film buff. Hooray! 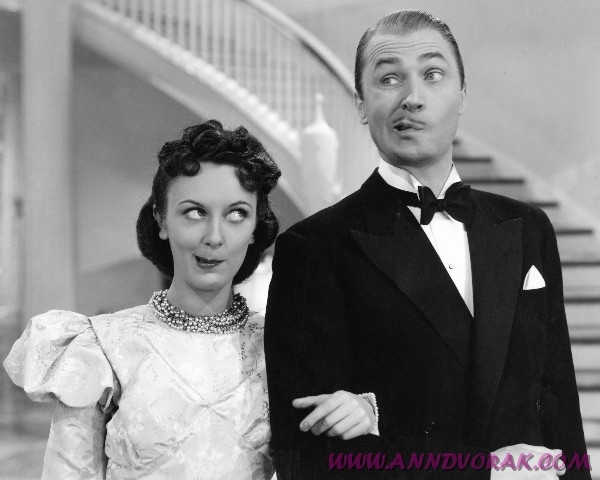 You might recognize these two from Day 119 of the Year of Ann Dvorak. Ken and Jim get their Ann fix before heading out to the Last Remaining Seats planning committee meeting. 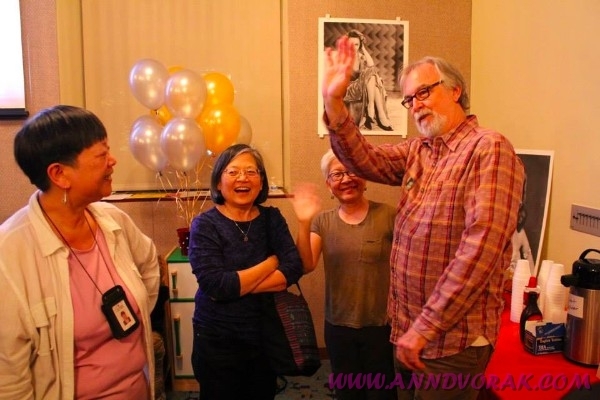 Guest blogger Glen Creason in the house, along with librarian extraordinaire Pam (left) and Photo Friends Kathy & Amy. Hooray for a big crowd! Ann and Lee Tracy provide ambience. Did I mention how happy I was to have a full room? 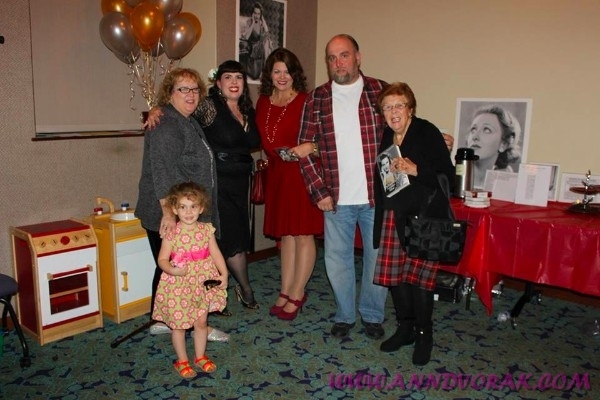 I had not seen Betty (far right) and Val (red dress) in over 25 years! I'm related to the rest of 'em. 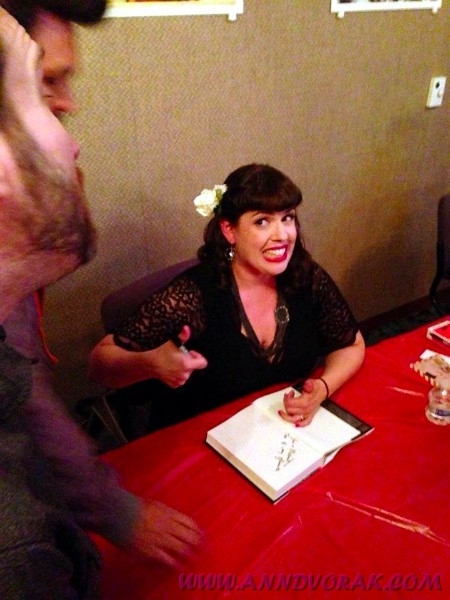 Did I get tired of signing books? Not a chance! 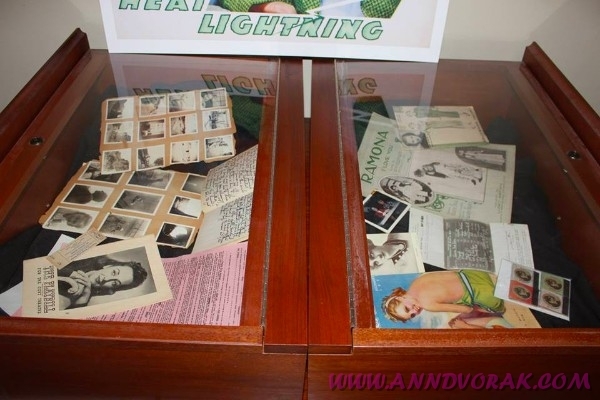 A selection of Ann-D ephemera from my personal collection. 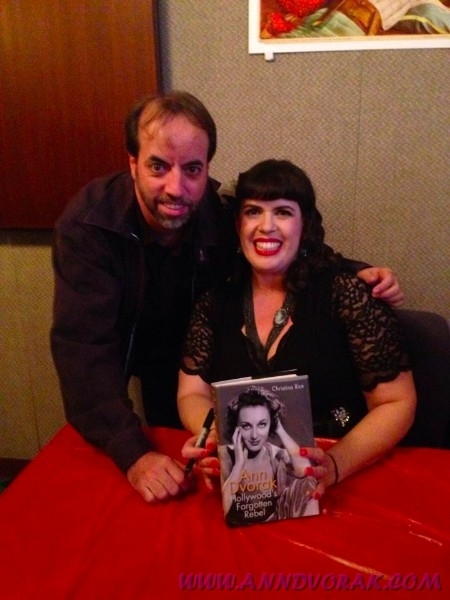 With my pal Darrell Rooney, co-author of "Harlow in Hollywood." Thanks to the kitchenette loan out from the Children's Literature Department, we managed to to keep the little occupied. 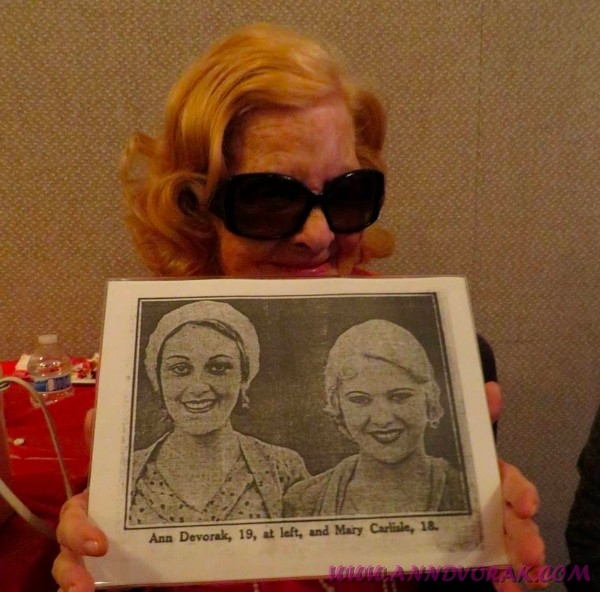 Special guest Mary Carlisle holds up a photo of her and Ann taken in 1929! 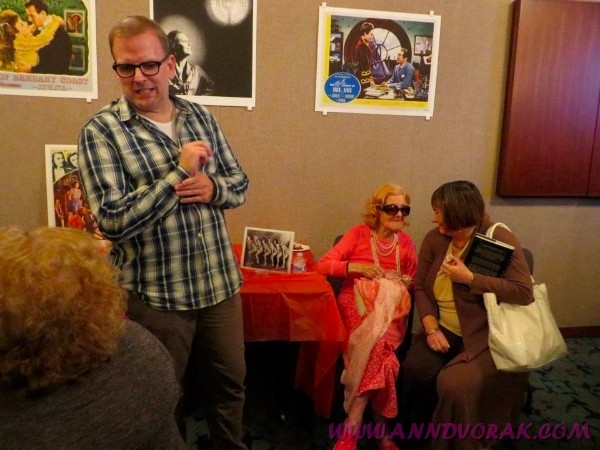 Took a break from signing to chat with Mary who my mom (right) found enchanting. 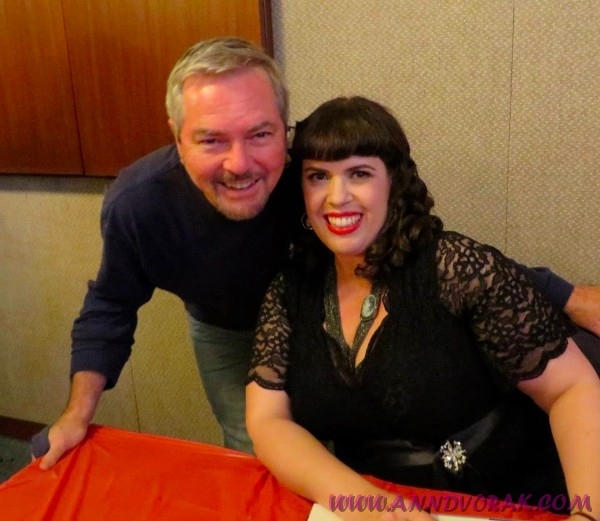 The always fabulous Darin Barnes hangs out with his pal Mary. Hard to keep a straight face when I am surrounded by siblings. The two people my book is dedicated to. 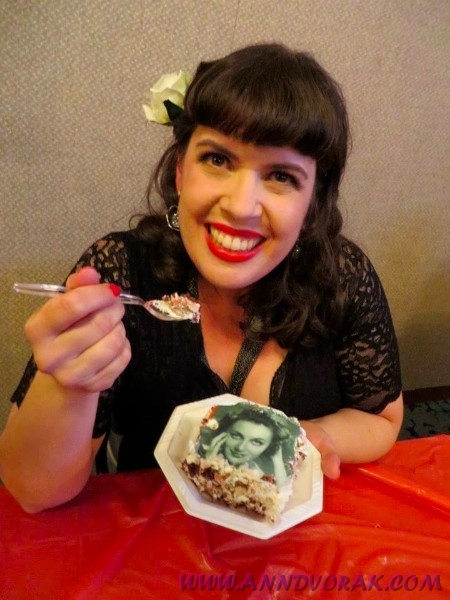 What's a book launch party without cake? 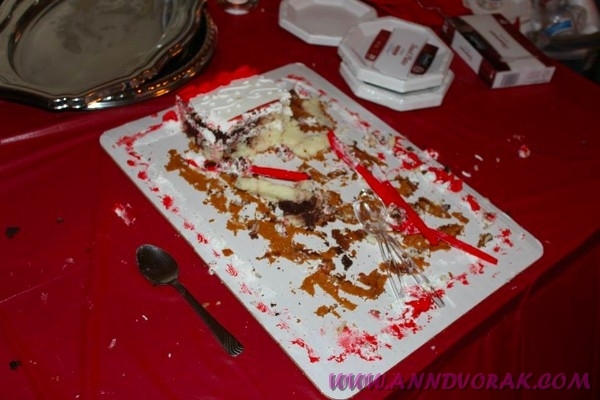 It didn't take long for the cake to look like this. Merrily We Live is going to air on Turner Classic movies on Friday, November 15 at 11:45pm PST. This movie is shown on TCM often enough (this is the third time this year) that you probably already know what I think of it, but if not you can see my previous comments here. Also, this photo of Ann joking around with Brian Aherne is one of my favorite photos which is why it made it into the book. 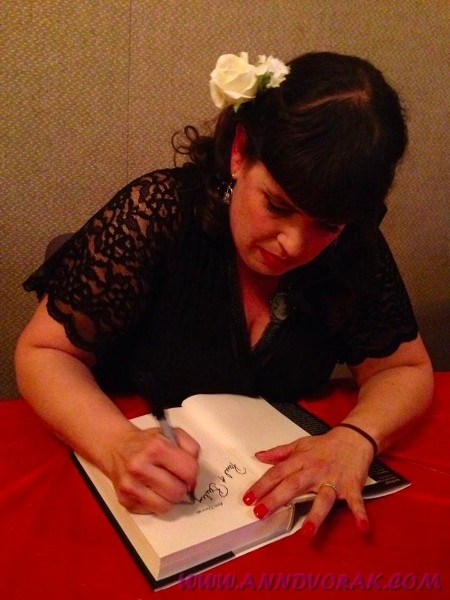 I am still recovering from last night’s book launch party which I think is safe to say was a rousing success! 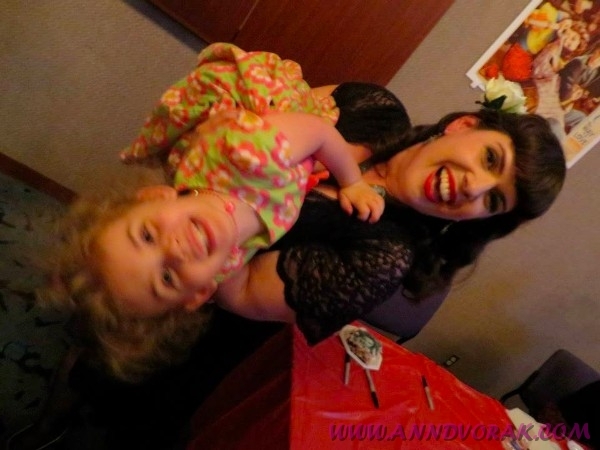 Once I am able to go through all the photos and take some deep breaths, I’ll give a full run down on the festivities. In the meantime, Lisa Napoli over at KCRW (one of our local NPR affiliates) put together this wonderful piece. 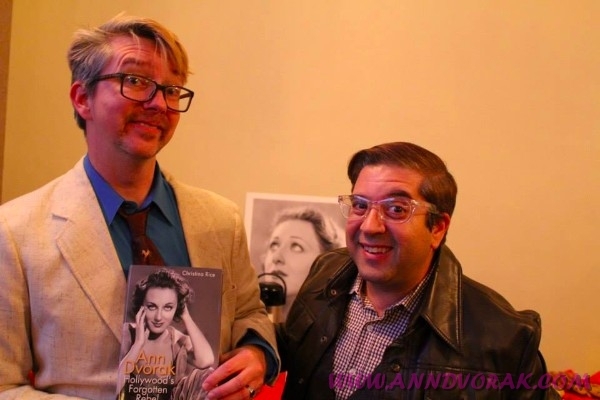 Those of you who have been following this blog for the last couple of years know that the bulk of the Ann Dvorak book was written during my commute to work on the subway. 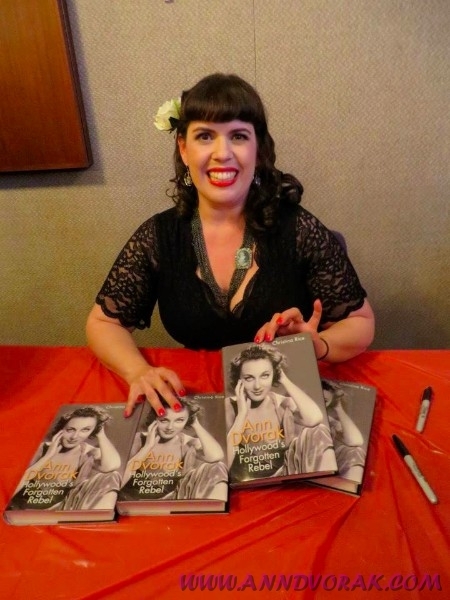 I am so pleased Lisa found this aspect of the Ann Dvorak story interesting and I hope it will inspire others struggling writers to get creative with their time. 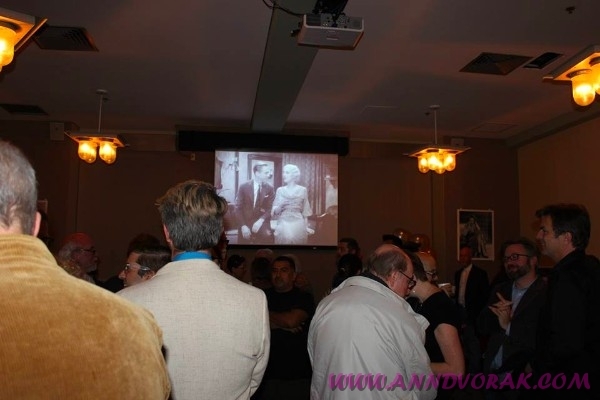 This coming Sunday & Monday (11/17 & 11/18), I will be heading over to the Silver Screen Oasis discussion board to answer questions about Ann Dvorak, book research, Los Angeles history, and anything else you might have in mind. Be sure to stop by so I’m not lonely! Book Launch Party is Tonight! 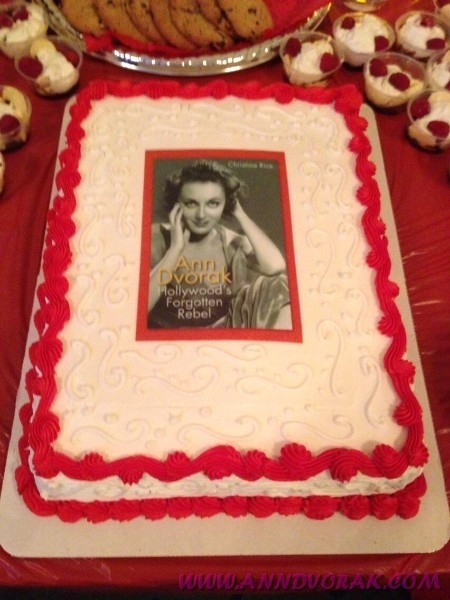 Just a reminder that the official launch party for Ann Dvorak: Hollywood’s Forgotten Rebel is tonight! 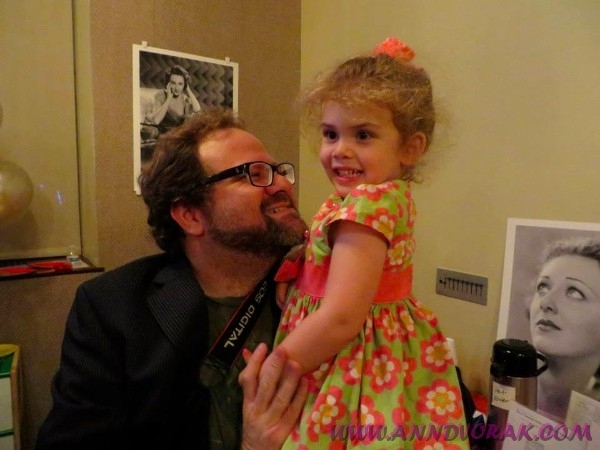 From 6-8pm in downtown Los Angeles, Central Library’s Meeting Room A will be all about Ann. 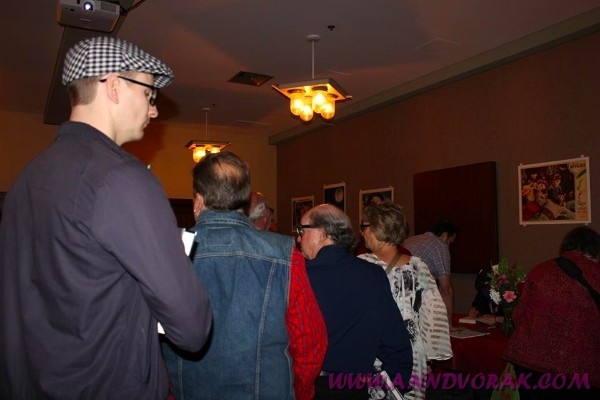 “Authentic” foods made from Ann Dvorak recipes will be served, memorabilia will be on display, and schedule permitting, actress Mary Carlisle will be in attendance. Of course copies of the book will be available for purchase. Kids are welcome! Parking can be found at 524 South Flower Street which is underneath the building and full details are at the Los Angeles Public Library’s website. There is much news to report today so here’s the rundown. 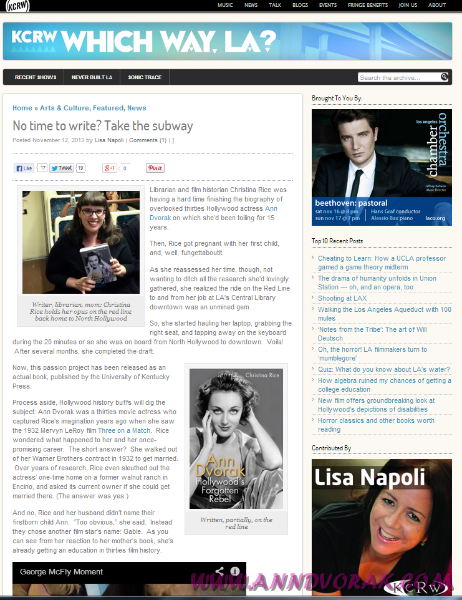 This morning’s Los Angeles Times features a nice little promo for the book and launch party. 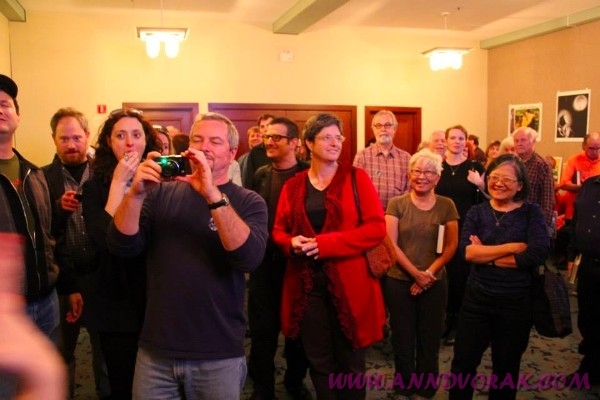 Special thanks to Susan King for getting Ann some coverage. 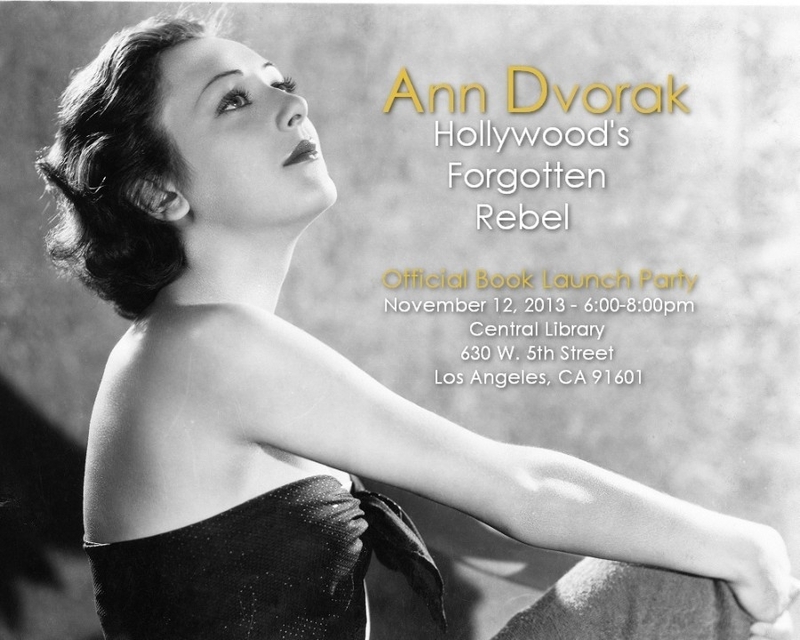 Just a reminder that tomorrow is the Ann Dvorak: Hollywood’s Forgotten Rebel Official Book Launch Party! As soon as I post this, I will be heading to the kitchen to prepare Ann Dvorak fudge and pralines. Finally, on this Veterans Day holiday, I wanted to make note of Ann’s contribution to the war effort. Not too many of us would have so willingly traveled through hostile waters as civilians during Christmas of 1940 to get to a London being bombarded in the midst of the Blitz. Ann Dvorak did just that, and spent nearly three years in the UK. 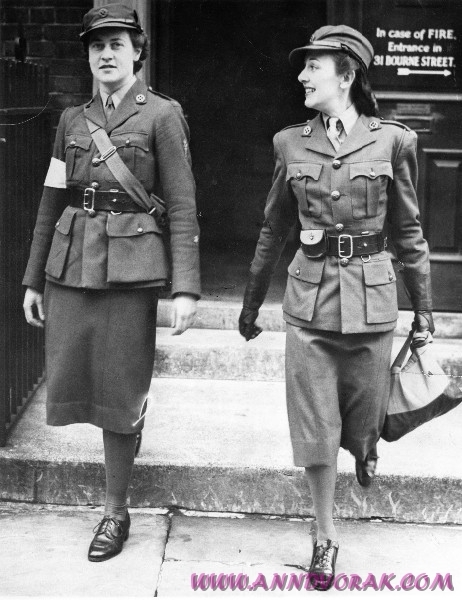 One of her many contributions was as a member of the Mechanised Transport Corps (MTC) where she drove an ambulance though a war-torn city, rescuing the wounded after air raids. Above is a photo of our gal in her MTC uniform, a true veteran.